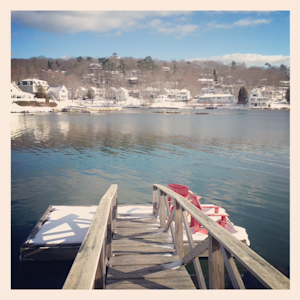 What's New in Boothbay for 2013? 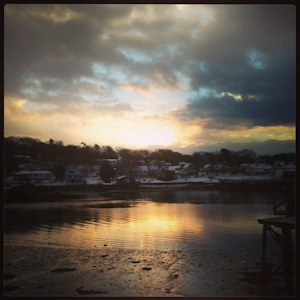 What’s New in Boothbay for 2013? There are fortunately not a lot of changes year to year in the small town of Boothbay Harbor, but that makes it all the more exciting when something new does come to town. The Boothbay Craft Brewery has opened! 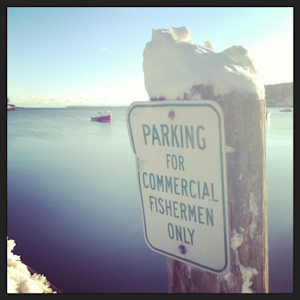 It's located at 301 Adams Pond Road, just off Route 27 before you arrive in Boothbay Center. The brewery is currently open just 3-5pm on Fridays, but come the summer, the brewery will be in full service. The Watershed Tavern is scheduled to open on May 10, 2013 and will be open Tuesday through Sunday (closed Mondays) from 11:00am to 8:30pm. The hope is "to create a true 'public house', where we hope to ignite conversations and visions for positive change in our hometown and country." The tavern will serve organic wood fired flat bread pizzas, oven-baked dishes such as shepherds pie, cool crisp salads, and tavern style sandwiches. Check out the brewery's website for more details and updates! Or contact them at +1 207 633 3411 / beer@boothbaycraftbrewery.com. Red Cup Coffeehouse is a friendly coffee shop that also serves food, wine and beer. It's located where Jordan's used to be right in the center of the Harbor (29 Commercial St.) Thursdays is open mic night (7pm - 9pm). Get there early because it fills up fast! We went to the open mic night between Christmas and New Year's and I can assure you, I won't be missing it, so long as I'm in town! Oliver's Cozy Harbor Wharf has taken the place of the long-since closed E.W. Pratt General Merchandise general store. As it's only open in the summer season, I have not yet been able to try this new seafood restaurant myself, but my family assures me it's a great addition to one of our favorite corners of the region (see my photo hanging over the dining room table!) Read the Boothbay Register's write-up on Oliver's and the backstory on the Maine Eater. 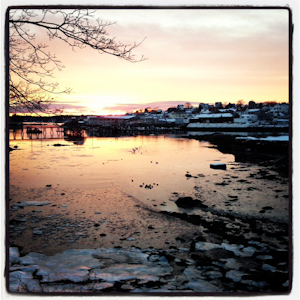 There are a number of events planned for the Boothbay region in 2013. Check out the Chamber of Commerce's events calendar for more information on upcoming festivals, Opera House concerts, studio openings and more! And farther afield? These aren't exactly "new" but they are new to me. 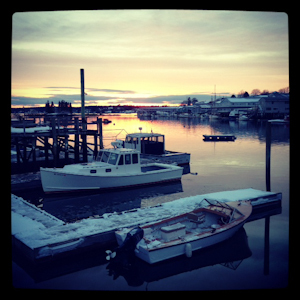 Over Christmas, we set out on a couple of day trips to explore the region beyond the Boothbay peninsula. 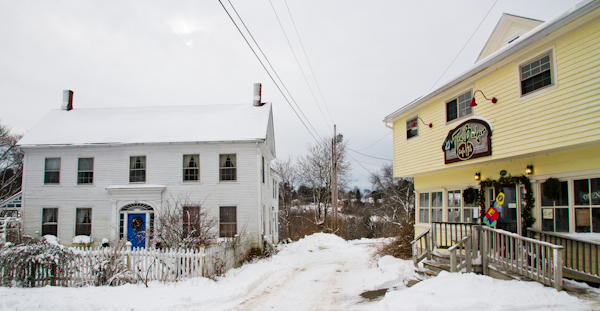 An hour north of Back Bay Cottage lies Rockland, a small industrial port city with a new lease on life. While the working port remains, Main Street has been cleaned up and boats some great restaurants and shops, along with the world-famous Farnsworth Museum. This museum of works by american artists (and primarily artists from Maine such as Andrew Wyeth) is open year-round. We had lunch at Main Street's Sunfire Mexican Grill for a change of pace, and I would go back in a heartbeat. 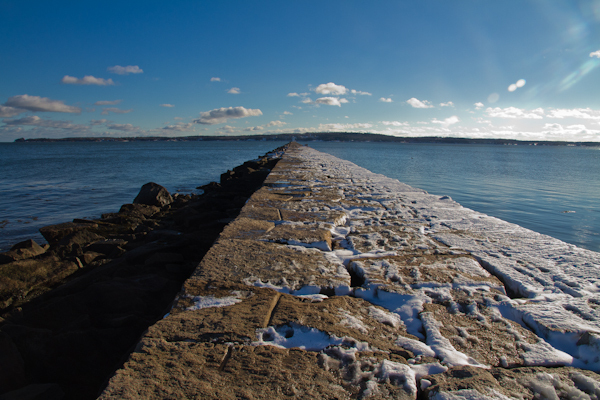 After exploring Rockland, we headed north to stroll along the mile-long breakwater that extends in Rockland Harbor. To find it, just follow Maine Street which turns into Route 1 north, then right on Waldo Ave and another right on Samoset Rd (you'll see signs for the Samoset Resort). 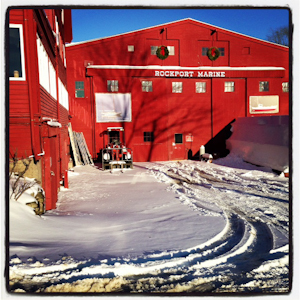 Then, we headed north again, passing the Downeast Magazine headquarters, to the fishing village of Rockport. With its classic architecture and harbor surrounded by hills, Rockport is widely considered one of the prettiest villages in Maine. On the way out of town, we stopped for coffee and dessert at Rockport's inviting 3 Dogs Cafe. 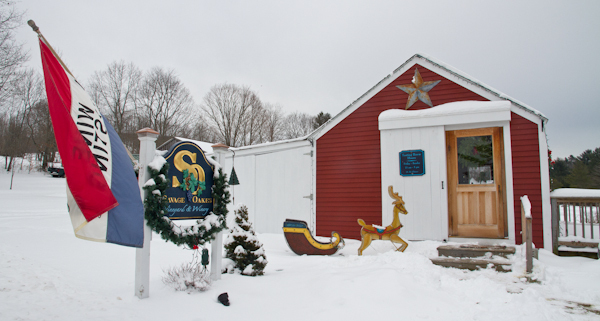 Our second day trip this past Christmas was to Union, Maine and the surrounding wineries. Our first stop was the inland town of Union, known for its annual fair each August. Coming from Boothbay, you pass the famous Moody's Diner in Waldoboro, so that is one great food option. 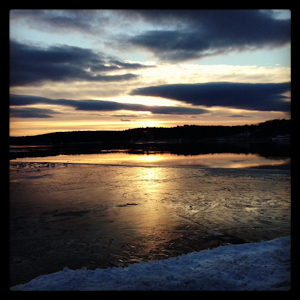 In Waldoboro, take a left onto Route 235 north and follow it for about 6 miles along ridge with great views and beautiful lakes, including Seven Tree Pond and its public park. We had a lovely brunch at the Badger Cafe and Pub in the center of Union along the large common. After brunch, we were off to the first of two wineries: Savage Oakes. We tasted their whites, reds and dessert wines and of course I could not resist buying a few bottles to take home! If you have time, you can also check out the Union Pottery shop while in town. Our next stop was the Sweetgrass Winery with its beautiful scenery and more wine tastings. Both Savage Oakes and Sweetgrass are not only wineries but also active farms. And both, while not open full-time year round, are open at least part-time from Mother's Day through New Year's. 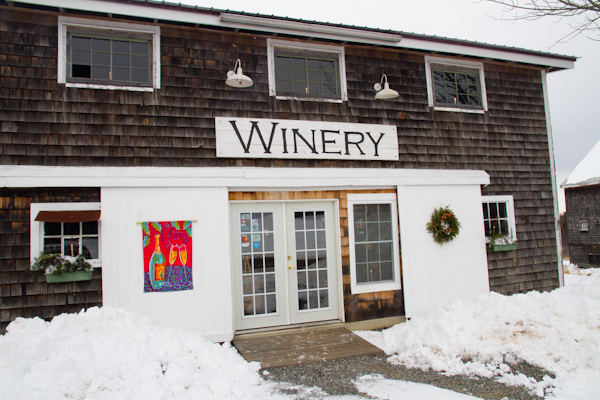 If these two wineries are not enough, set out on the full Maine Wine Trail and visit all 16 members! Our final stop of the day (well, except Reny's in Damariscotta of course) was Morse's Sauerkraut Restaurant and European Deli in Waldoboro, a great food shop with all sorts of items from Europe that you won't find in a regular supermarket. Morse's, established in 1918, also has a restaurant. 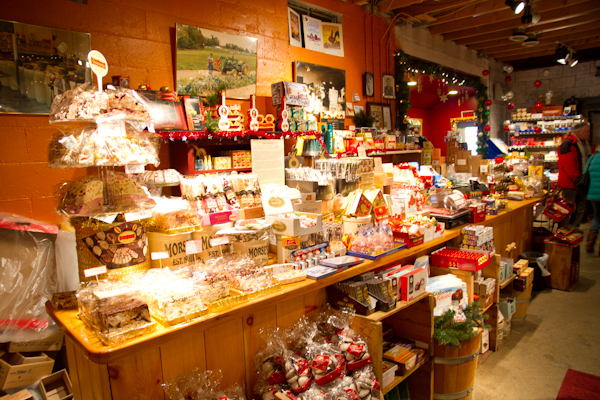 The shop and restaurant are open year round every day except Wednesdays. For additional day trips from Back Bay Cottage, click here. 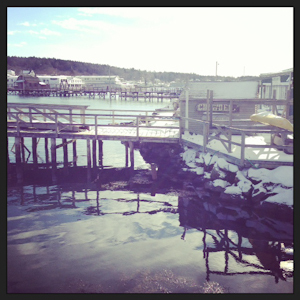 We hope to see you again soon in Boothbay! Fishermen’s Festival! 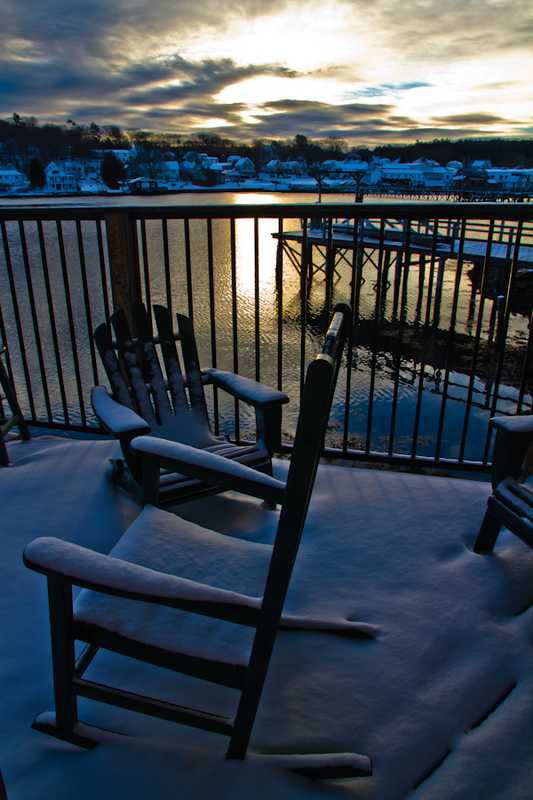 » « What’s New in Boothbay for 2012?